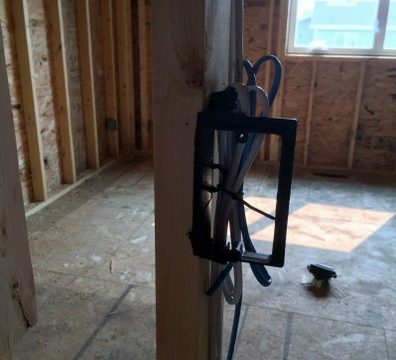 This is the fourth post in a series on how to prewire low voltage wiring and structured cabling in your home. We’ll be focusing on how to install a structured cabling enclosure. We’ll also discuss why you would want to do this. 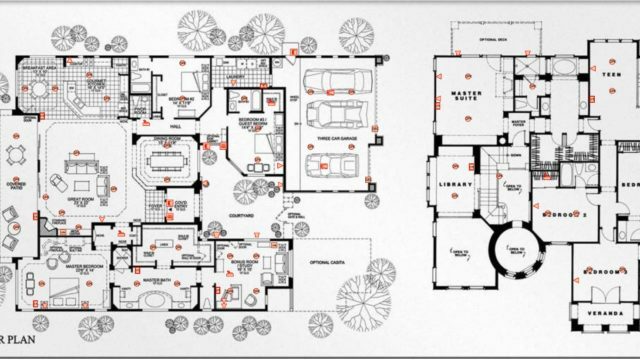 Purchase customized plans for a DIY Home Automation prewire. Why use a structured cabling enclosure? Primarily for two reasons: Neatness and system maintanence. 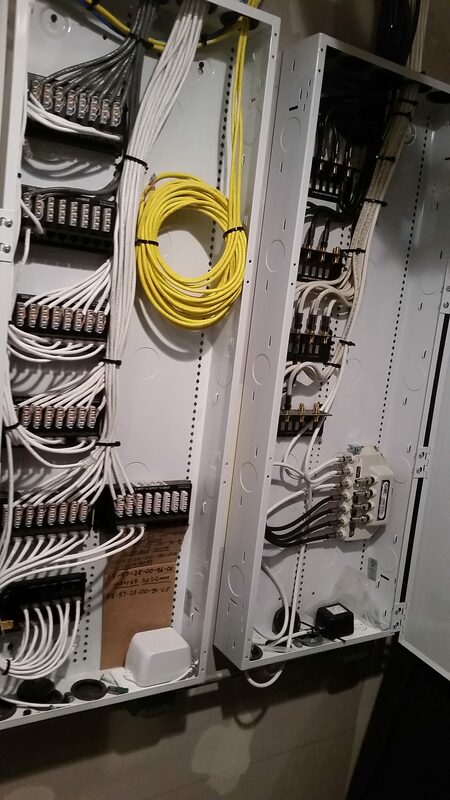 When all of the connections in your home are available as just a few patch panels, you can pick and choose which connections are relevent and will be used. These cables are patched down to their respective connection points with an interconnect or patch cable. These connection points may be cable splitters, phone distribution modules, or devices inside the av equipment rack. The wires that are not being used are kept very neat with no coil loops, ready to be used and easily identified when the time comes. As your needs or the underlying technology changes, wires that were once unneccasry become needed. This could be years down the line, so it’s important that they are easily identified and easily connected. AV equipment racks and structured cabling enclosures can often times become very messy after years of changes, but if they are done right in the first place (as above) with patch panel style modules then adding or changing configurations becomes simple and inherently more easy and less labor intensive to be kept neat. Obviously, you’ll need the structured cabling enclosure itself. I prefer an OnQ 42″ Enclosure with a screw on cover, but a hinged door would look even nicer. There’s a lot of different options, but the important thing is that whatever brand you choose has ample choices for structured cabling modules. Bigger is also better, especially when there is a large bulk of wire. There’s no reason to short yourself on size if you have ample room to install the panels. If there are over 50 cables, I would recommend using two enclosures. Next up is the modules. I generally recommend that all modules are just a patch panel, meaning they are essentially just a splice through or a coupler. All connectors to phone blocks, satellite splitters, etc should just be done with small patch cables. On the first image in this post, you can see that I have small patch cable going into 8×8 modules (8-in, 8-out). Most of the wires then exit the equipment rack and go to a network switch, but you can see that some of them are patched down to an 8×1 telephone distribution block on the left hand side of the panel. I only ever recommend recessed mounting of enclosures if they will be installed within closets that are not dedicated to smart home equipment, or when there is no av equipment rack. 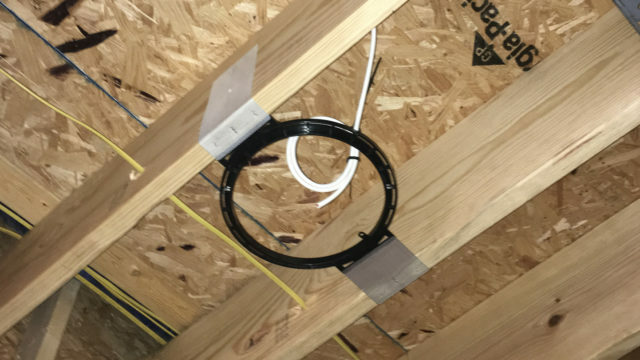 If all of the connections will be kept internal to the structured wiring enclosure, then recessed mounting may be a good idea. However, the majority of the time I recommend surface mounting panels. This allows you to being wire within the wall space inside the panel, or surface mounted wire in from the top of the panel. Most importantly, there will likely be interconnects from the panel to an av equipment rack, so having knockouts available OUTSIDE of the wall space becomes important. 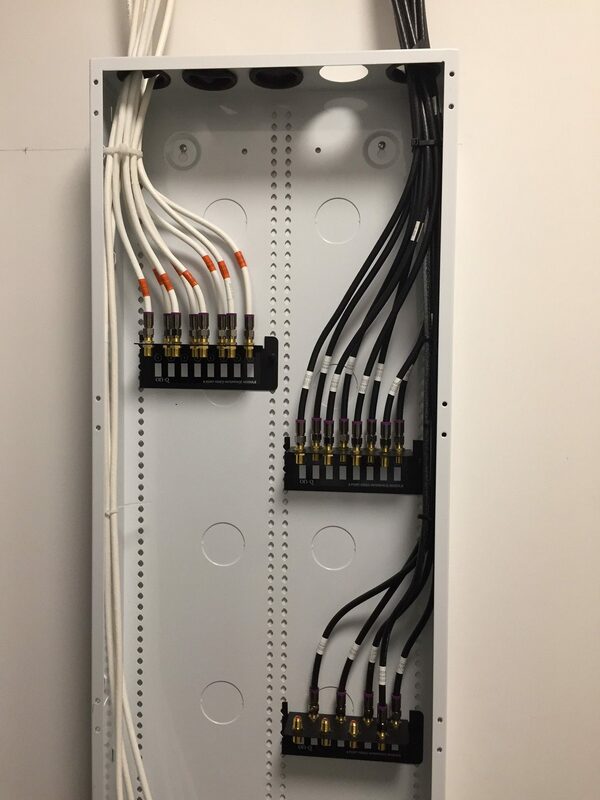 If knockouts are not available outside of the wall space then adding an additional interconnect cable between panel and rack will be time consuming and frustrating. I’m really proud of a DIY client that did an excellent job keeping his wire neat and his terminations clean. This is an RG-6 structured cabling enclosure before any splitters or interconnects to the av equipment rack were added. All wire should enter only a a couple of knockouts, the less the better. The wire is tied down the side of the cabinet and fanned outward just before the patch panel block. There should be a label affixed just above the connector to indecate where the wire is coming from. Likewise, all wire should exit only a couple knockouts. 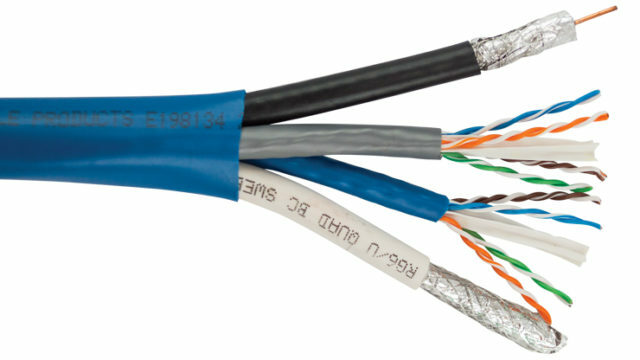 In the primary image, most of the wiring exits through the top and forms an umbilical to rack, and although none exists in the picture, a label should also be affixed to these wires indicating their connection to the av equipment rack. Speaker wire and Cat 6 intended for HDBT should not be terminated in a structured cabling enclosure. There is just no reason to terminate the speaker wire and it’s very costly to do so in a neat way. HDBT wire should never be coupled or spliced to keep the highest fidelity signal.